Relocating sensitive equipment, artworks or other valuable and fragile objects, or relocating heavy or hard to manoeuvre objects: these are things you probably don’t organise or carry out on a daily basis. Such a relocation naturally also carries a number of risks, especially when it concerns irreplaceable items. Risks you’d rather not deal with. Thankfully, these type of specific relocations are in good hands at Saan. At Saan, everything is properly taken care of. Whether it concerns relocating laboratory equipment, relocating a server room or transporting and placing large or valuable objects of art: we take care of every step of your assignment. Put your trust in more than 120 years of craftsmanship by having us carry out such a specific relocation and feel at ease leaving your project to our employees! 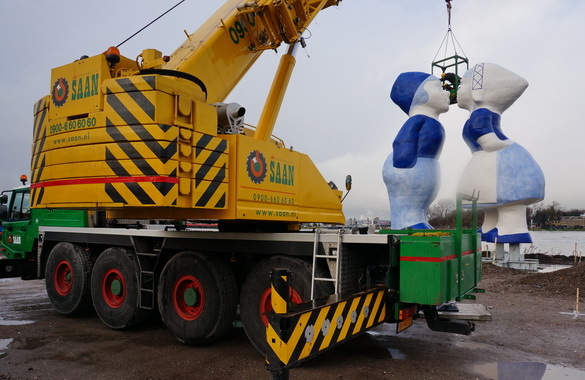 Even when you have to relocate a large and heavy object, that has to be loaded or unloaded, you’ve come to the right place at Saan. For example, transporting and relocating large machines and installations, prefabricated elements, swimming pools, etc. Are you faced with such a difficult or risky logistical challenge? Feel free to contact us, we’re happy to take care of the work and the worrisome aspects! Our experienced employees are used to supporting very complex projects, from preparation to execution. We can supply project leaders and project implementers for this work. You have one reliable contact for your project. At Saan, we spent every day relocating laboratories, server spaces, objects of art, historical objects and other complex projects. For this, we use a turnkey project approach and take over as much work from you as possible. You can hand over your valuables to us feeling reassured and we deliver them to their new location in excellent condition. We have our own in-house engineers, so we can effectively change gears in complex relocation jobs to create site plans and take care of lifting plans. 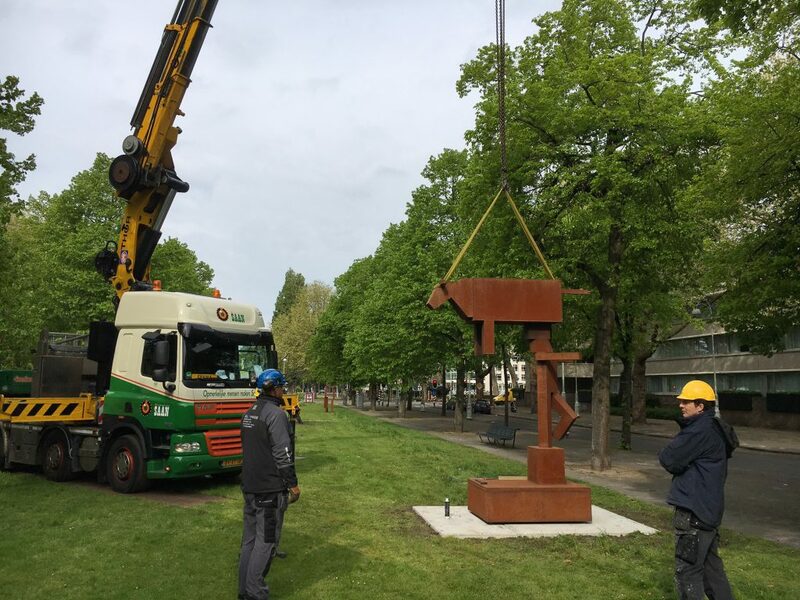 We also conceive and create special transport and lifting solutions and quickly and easily arrange additional auxiliary materials. If your relocation job requires it, we’ll write a clear and organised lifting plan. If desired, we’ll also set up a complete safety plan. At the very least, such a plan consists of a description of the lifting work, risk assessment and an overview of the measures Saan takes to limit the risks. Saan nationally and internationally arranges all permits and exemptions necessary for your industrial relocation. Over the years, we’ve established a large network of contacts in municipalities and provinces. This way, we keep short lines, which ensures the work commences more quickly. We have secured storage locations for the temporary storage of machines or other objects. At these locations in Diemen, Tilburg and Utrecht, you’ll find storage space both indoors and outdoors. Your goods are safely stored until we bring them to their new location. We offer the storage at a great rate. We supply all auxiliary materials that are necessary for the relocation work. We have forklifts, gantry cranes, carriage and jacking systems. Additionally, if desired, we also organise the availability of drive plates, dragline mats, barriers, etcetera. To us, relocating valuable, sensitive and fragile objects is more than just moving the objects. We prepare everything in detail. We’ll personally visit you for an intake of the work and your wishes. Based on these, we set up a thorough action plan. We thoroughly map risks and then look for the best, safest and most efficient solution. Based on this, you will receive a clear and suitable proposition. Depending on your wishes and needs, the location or the nature of the work, we organise everything that’s necessary to successfully complete your assignment: engineering, lifting and safety plans, permits and exemptions or collaborations with specialised partners. Saan is and remains your contact for everything related to your assignment, this makes potential changes easier and keeps everything nicely organised on your end. The execution is in the hands of our enthusiastic, experienced and well-trained drivers, machine transporter, industrial movers and crane operators. In case of any unforeseen circumstances, you can also count on their decisiveness and solution-oriented approach. They live up to over 120 years of craftsmanship every day! 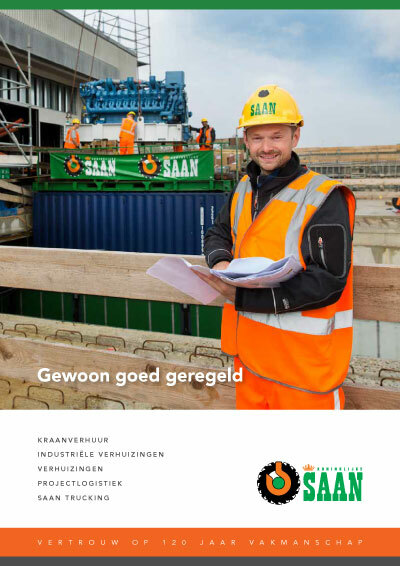 Do you want to experience how Saan works and can give you total peace of mind in relocating your fragile, sensitive or large and hard to move valuables? Then contact us, we’re happy to visit you for a non-binding interview!